Could we have a way to sort / order list items, please? As brilliant features tend to extend, I am increasingly worrying about some ordering of menu list items. Right now, they are just added to the end of the list when imported. For instance, the items shown in attached screen prints could benefit from some sorting (at least for me).  Something automagically alphabetic would already work better for me, but ideally, I´d just like to drag them where I´d like them to be, so a manual way of doing it would serve me quite well. 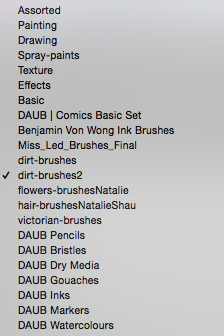 As an example, if you look at the long list for the pixel brushes for instance, I´d love to be able to drag all DAUB brushes to where I´d like them to be, all together close to the top but below the default ones coming with the product. Not only cosmetic AFAIC, it´s also that I just use some more than others. Sorting would be great. Not just for the brushes and that kind of things, but also when you open e bunch of files and want them to be sorted alphabetically or by date etc.